Looks like Jane Austin is getting another makeover, or rather, addition. With the huge success of Pride and Prejudice and Zombies and the highly anticipated Sense and Sensibility and Sea Monsters it only makes sense to keep the momentum going. And with vampires as popular as they are nowadays the next logical step would be to mix the two – Jane Austin and vampires. That is precisely what best-selling author Amanda Grange did with her latest Jane Austin inspired book, Mr. Darcy, Vampyre. 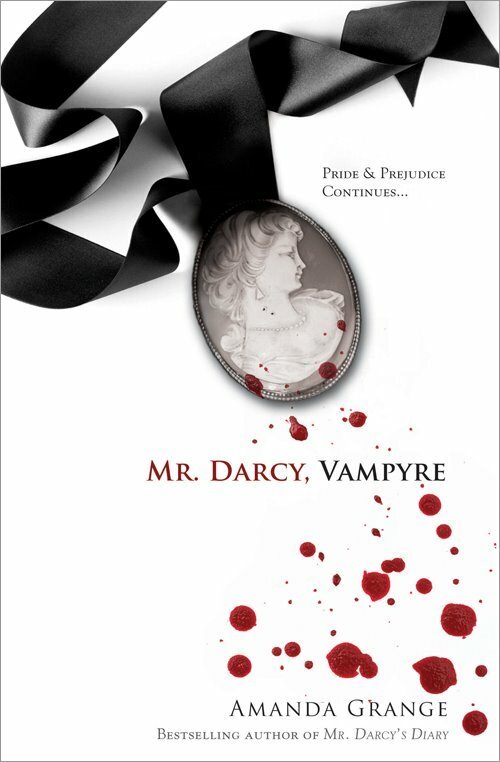 Mr. Darcy, Vampyre starts off where Pride and Prejudice finished but adds a dark little twist, a sinister curse. It looks like the beloved Mr. Darcy has quite the secret, he is a creature of the night, a vampire. This new story truly begins during Darcy and Elizabethâs honeymoon (after a wedding flashback), where things feel a bit off to poor Elizabeth. Her and Darcyâs relationship becomes somewhat shaky and Elizabeth begins to suspect that something isnât right with her darling husband. Through Elizabethâs letters to her sister Jane we learn more and more about her issues with her husband and his wicked secret. Throughout the story Elizabeth and Darcy are left to fight for their love, their marriage and their very lives in this rousing, chilling, passionate new novel. English author Amanda Grange has a vast amount of experience when it comes to writing about Jane Austinâs much loved characters. She is a world famous historical fiction writer that specializes in reinterpreting historic events and classic novels. This is her first paranormal novel but she still holds true to Jane Austinâs tone. This book may not be for everyone, since it is written like the old Jane Austin classics but if you are an Austin fan or an Amanda Grange fan you should most definitely pick this book up. I love this book. I love pride and prejudice,pride and prejudice and zombies and now this beautiful novel by Amanda Grange.